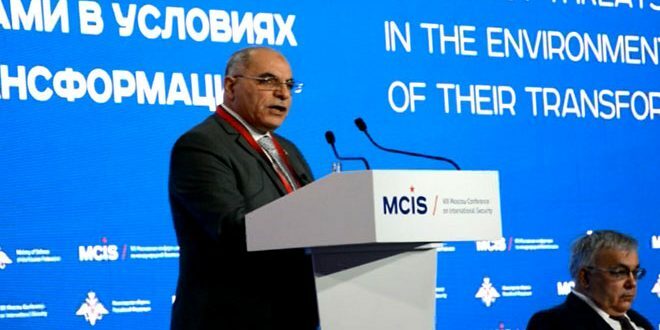 Damascus, SANA-Commissioner-General of the United Nations Relief and Works Agency for Palestine Refugees in the Near East (UNRWA) Pierre Krahenbuhl affirmed on Monday that UNRWA’s attention is focused on providing emergency assistance in multiple forms for Palestinian refugees in Syria. 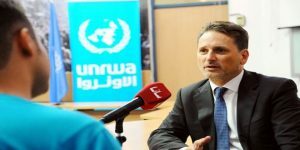 In an interview with SANA reporter in Damascus, Krahenbuhl pointed out that UNRWA restarted some services related to education and health sectors, adding that the organization continues to offer these services in many areas such as al-Husainiah in Damascus Countryside. Krahenbuhl said that UNRWA highly appreciates the efforts of the Syrian government, particularly for its support for the education issues, adding that the UNRWA is using more than 55 governmental schools which contributed largely to providing education for Palestinian children. 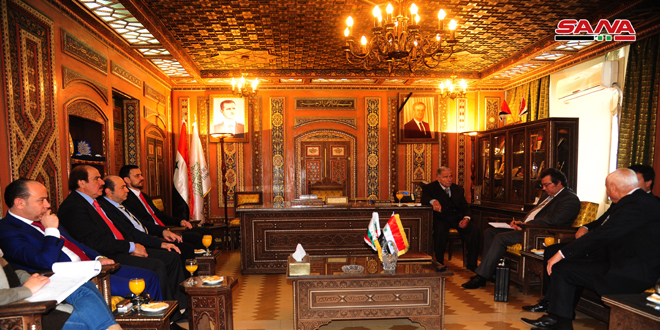 He noted to the importance of highlighting UNRWA’s efforts related to education, especially that the focus is on food and material assistance in times of conflict, expressing pride in what UNRWA is providing for Palestinian refugees with regard to education. 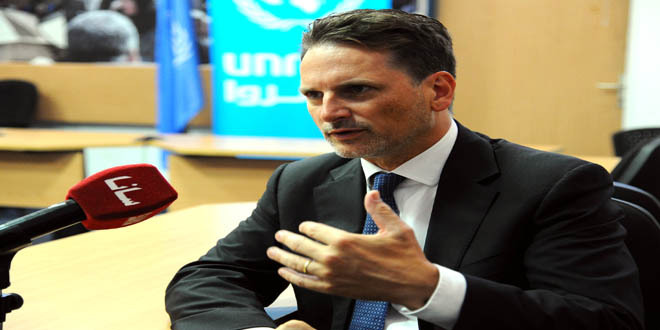 Krahenbuhl affirmed that UNRWA will continue to discuss means to meet the needs and overcome financial obstacles through visits to different parts of the world.